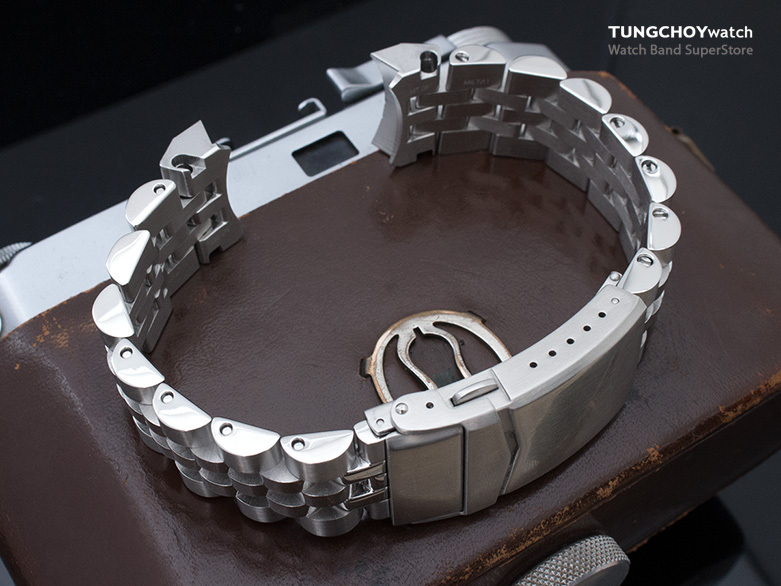 More round and sturdy solid link Angus Jubilee watch bracelet is an upgraded version of Super Jubilee watch bracelet. 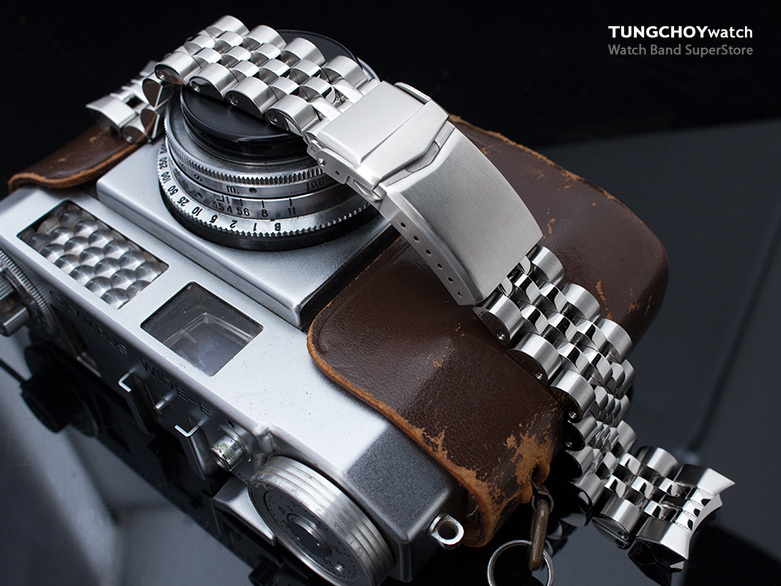 All links composed by scaled up solid 316L stainless steel beads and well-built precise screws, the more robust it is. New Screw-in adjustable details with open end on both sides can lower the risk of the screw loosening during dynamic. 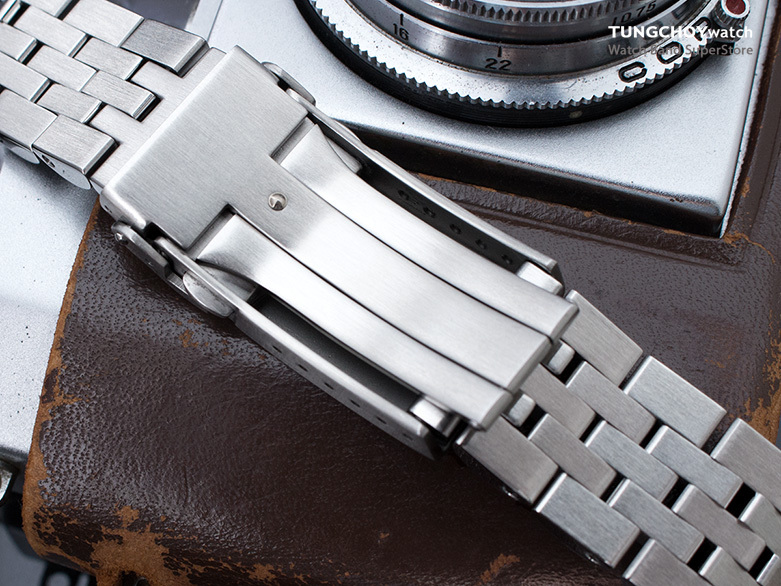 This Angus Jubilee with a curved solid end pieces perfectly fit Seiko Sumo SBDC001, SBDC003 & SBDC005 models. The lug of this watch band was tapered into 18mm buckle size, added value on flexibility of using your original 18mm Seiko clasp back if you want. Accompanied with 2015 new released V-Clasp double lock buttoned diver's clasp. 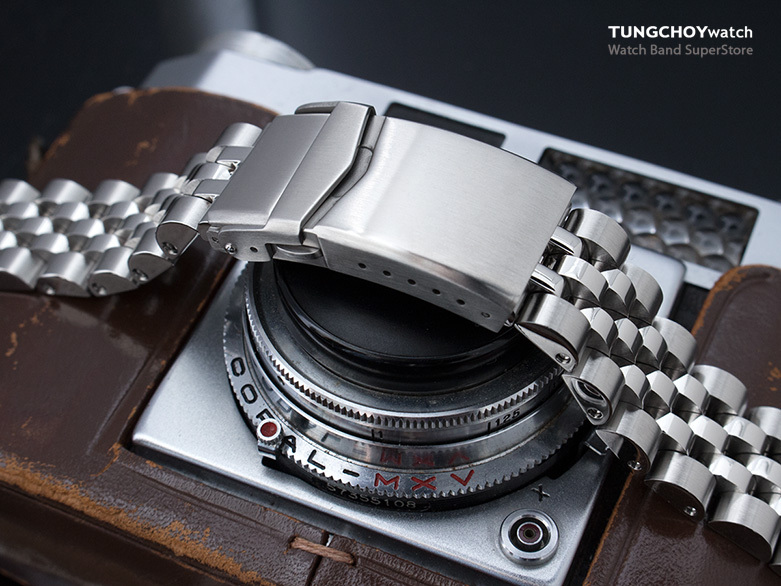 V-Clasp was made from solid 316L stainless steel with extra 6 micro holes for flexible fine tune length adjustment. Featured in V shape safety lock, streamlined form & chamfer edged design to giving a more massive look. 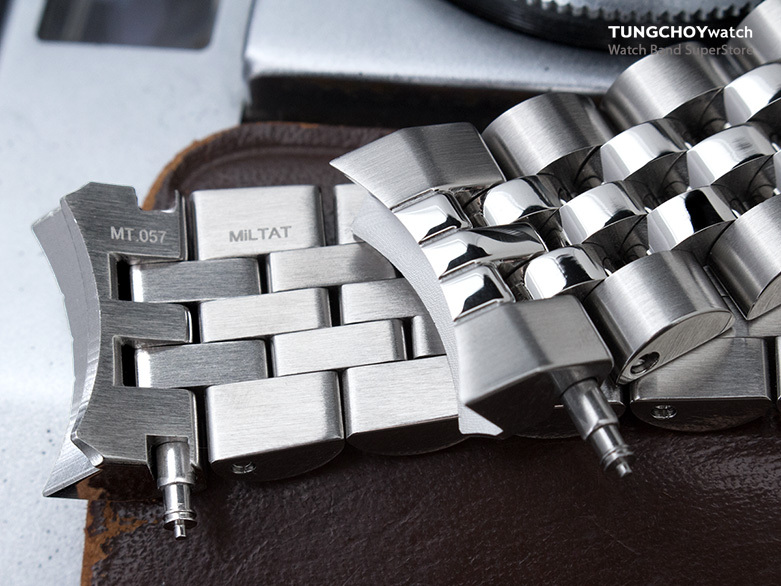 Chamfer double locks diver's buckle is ideal for watch band with thickness approximate 4.0 - 5.0mm. This item also includes one pair of FAT spring bars (eg. generic Seiko Dia. 2.5mm spring bar) to ensure a more secure connection. Angus Jubilee watch bracelet is a good choice of Seiko replacement watch band for your Sumo SBDC001, SBDC003 & SBDC005 models.